Simple, easy, delicious recipe, yes! I love this simple Asian Chicken Salad. I made it on a whim, on an evening when I needed something really super easy. 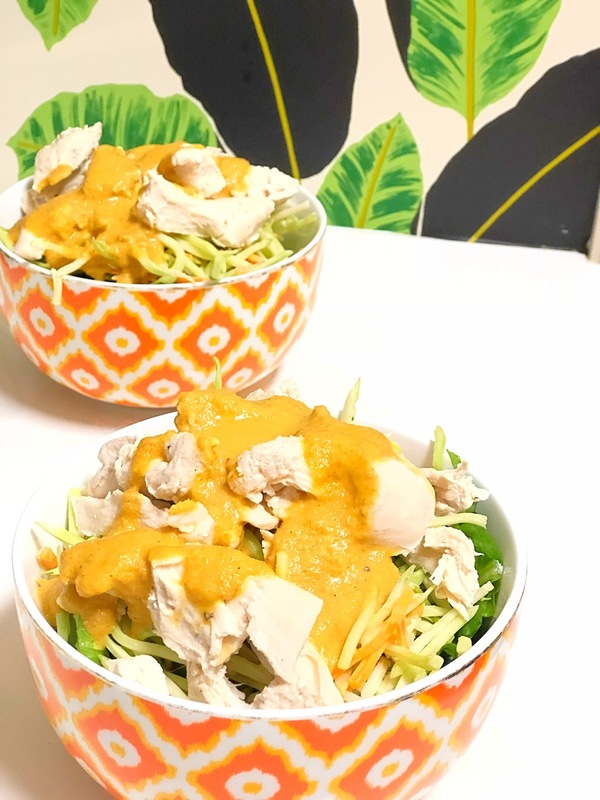 This salad is made from 3 simple ingredients- boiled chicken, broccoli and carrot slaw, and a DELICIOUS sesame ginger dressing from Momo Dressing. You can also make a REALLY easy carrot ginger dressing, but this time we chose to use one from our cabinet. We love this dressing in particular because it’s only got a few ingredients, and no artificial garbage. 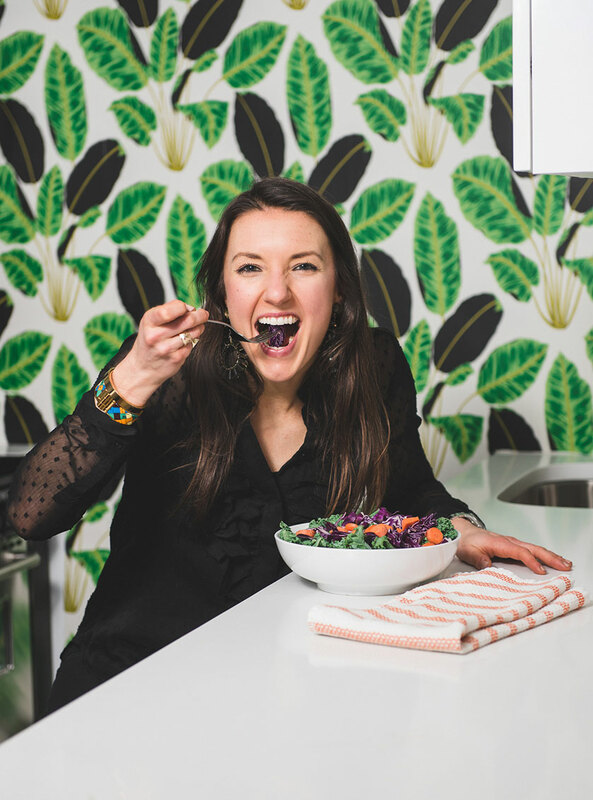 It’s really important to change up your salad dressings, ingredients and the way your food looks to optimize satisfaction and pleasure. We often forget that we can get really bored from having the same thing all the time. So mix it up! You can make this salad as intricate and exciting as you want it to be- namely you can add more veggies, scallions, sesame seeds, and even some avocado. I just wanted it super easy, so super easy it is! I love this simple Asian Chicken Salad. I made it on a whim, on an evening when I needed something really super easy. 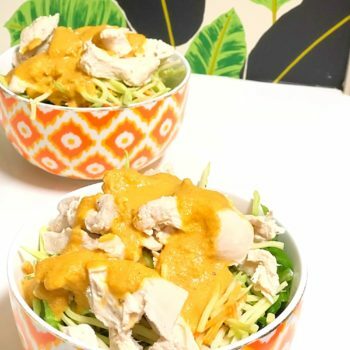 This salad is made from 3 simple ingredients- boiled chicken, broccoli and carrot slaw, and a DELICIOUS sesame ginger dressing from Momo Dressing. In your serving bowls, place 1 cup of the slaw- in each bowl. Add your chicken to the slaw - about 1 breast for each bowl. Divide the dressing and mix together with the salad- for each portion. Add any of your own produce that you'd like! WANT MORE POSTS LIKE THIS? CLICK HERE!